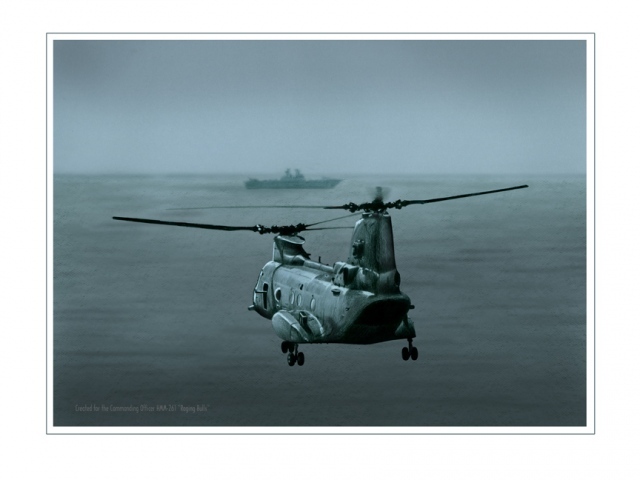 This piece was created for the Commanding Officer of HMM-261 Raging Bulls. It was drawn from a photo that was taken when these brave Marines were returning to their home away from home while on deployment. I was extermely driven by this piece and I could not put my pencil down until it was complete. It almost seems like the helicopter is looking at the ship and can't wait to land. This piece is only available to active duty or retired military and in VERY limited numbers.